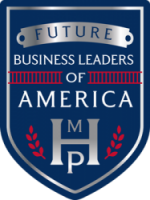 Madison Highland Prep will incorporate the mission and goals of the FBLA through the planning and implementation of a school-based enterprise. A school-based enterprise (SBE) is an entrepreneurial operation in a school setting that provides goods/services to meet the needs of the market. SBEs can sell to consumers through a permanent location, a mobile kiosk or through Internet marketing. Products may include spirit wear, food and beverage items, school supplies, and signs and banners. Services may include creative design, advertising sales and more.